Many older adults just need companionship. Some live alone and away from family, which can be difficult at times. Others are being cared for by spouses or family members. For these seniors, we have two outreach programs: the Senior Visitor Service and the Caregiver Relief Service. The Senior Visitor Service introduces a trained volunteer to a socially isolated senior who lives alone or is homebound. With oversight and support from a social worker, a Senior Visitor is assigned to a specific client and makes a personal weekly visit and/or regular friendly phone calls. Routine visits of about two hours provide time for the creation of a lasting friendship. Volunteers can assist with small tasks such as watering plants or writing letters, or simply spend time together listening to music, watching a movie or television show, or playing cards or games. The Caregiver Relief Service offers temporary in-home support to help spouses or family members who care for dependent elderly adults at home. 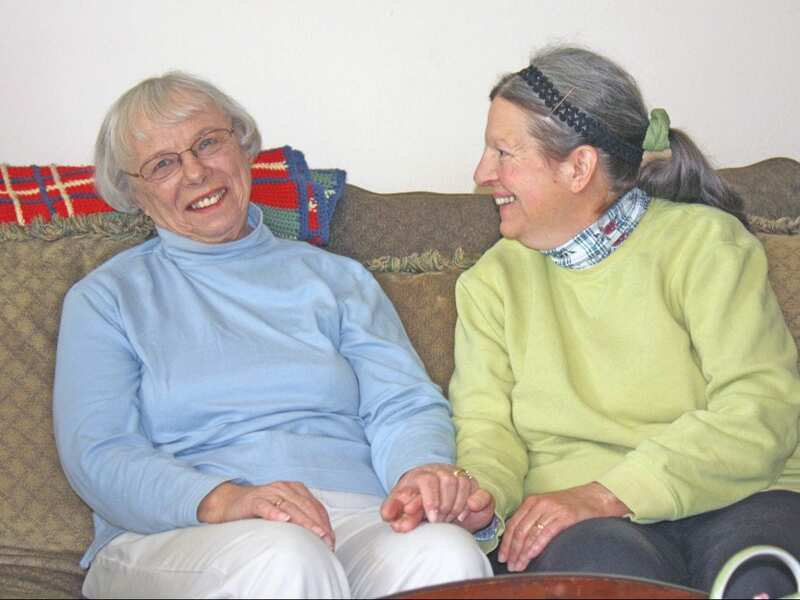 A trained volunteer offers a regular three to four hour respite period, a break during which a caregiver can relax, visit friends, go shopping, or do other activities to relieve stress. The trained volunteer can provide companionship, supervision, meal preparation, and some personal care. Referrals for the Senior Outreach Program are accepted from friends or family members, churches, home health agencies and community partners. Self referrals are also encouraged. What are the first steps to signing up? To begin the process of arranging for the in-home visiting service, a Catholic Social Services social worker will make an initial home visit to personally explain the program, assess the need for assistance, and confirm eligibility. Families and individuals served will be asked to verify that they agree to have a visitor in their home, sign a wavier of liability and provide information necessary for quality service. The information shared is kept confidential. Who are the people making the visits? The Senior Outreach Program relies on volunteers who are willing to give the gift of time. Volunteers are expected to successfully complete an orientation program and provide an hour or more a week to offer companionship and support to an isolated senior and/or the caregiver. A volunteer is asked to make a 12-month commitment once a match is made with a specific senior. Orientation sessions and background checks are arranged through Catholic Social Services. Anyone failing the background check cannot become a volunteer. Approved volunteers receive oversight and support from a social worker from Catholic Social Services. The Senior Outreach program’s home visiting service is free to families who meet income guidelines. The senior must be 60 years old or older and willing to welcome a new friend into his or her home. The Senior Visitor Services is available to clients in Miami, Montgomery, Preble and Shelby Counties. The Caregiver Relief Service is only available to residents in Montgomery County. For more information about these Senior Outreach programs or to become a volunteer, contact our Northern Counties Office at (937) 498-4593 or (833) 289-0227. Our senior services are based in our Northern Counties office, located at 100 S. Main Avenue, Suite 101, in Sidney, Ohio.